This delightful gold and maroon card is made from a gold colour handmade shimmer board and has a flower zari pattern printed on the front of the card in deep maroon ink. A delicate oval gold foil frame is printed in the centre of the card inside which a beautiful Ganesha logo sits, that is maroon in colour. 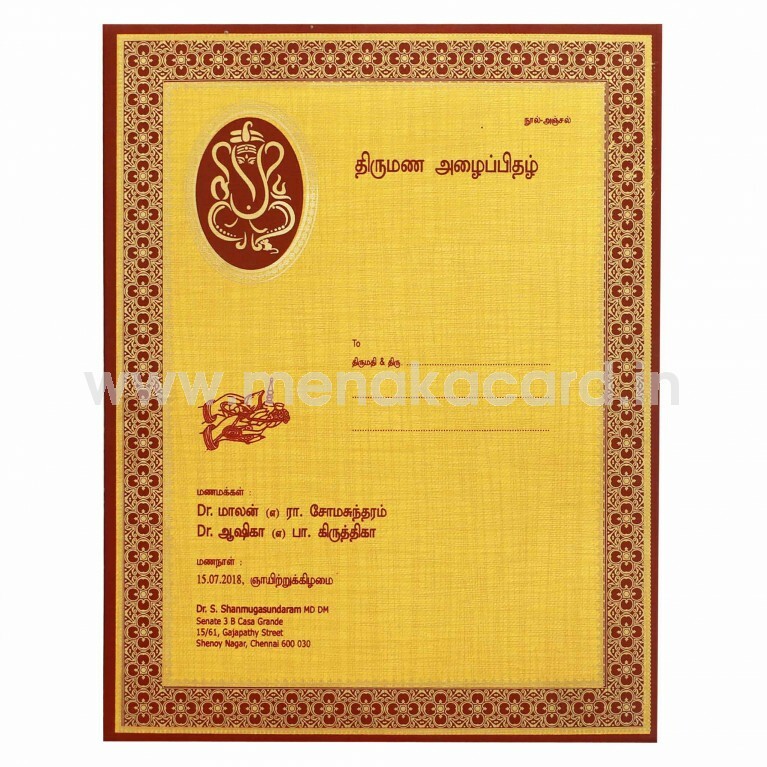 The names of the couple and other content are printed in a deep maroon likewise to match the theme. 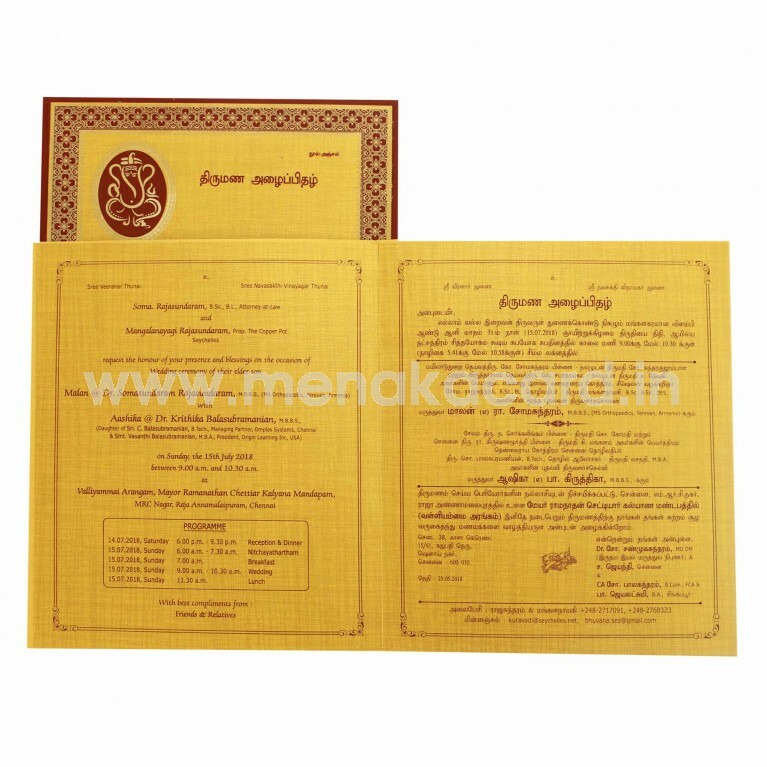 The yellow insert sheet of the card is pasted at the centre and printed with contrasting maroon or brown text accordingly. 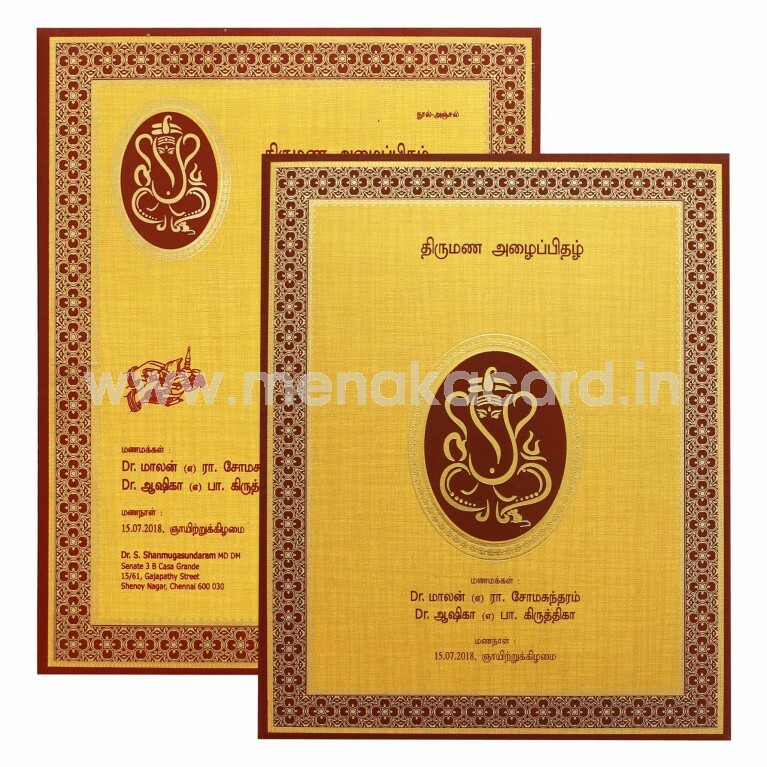 This card is mainly used for Hindu weddings, receptions and engagements but can also be changed for use in Christian and Muslim weddings.